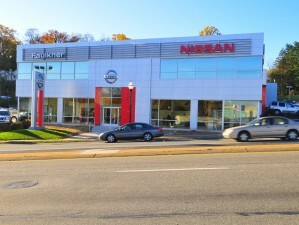 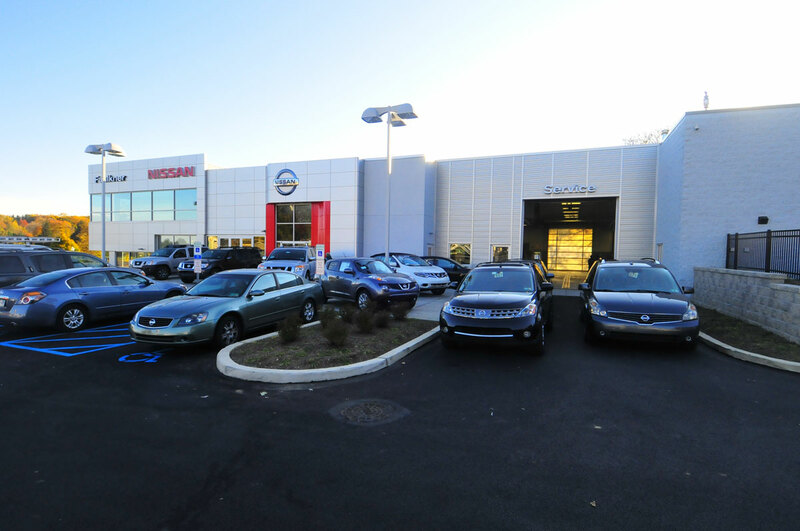 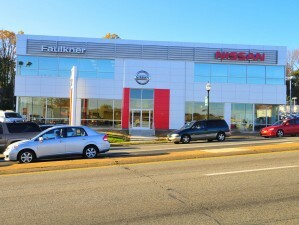 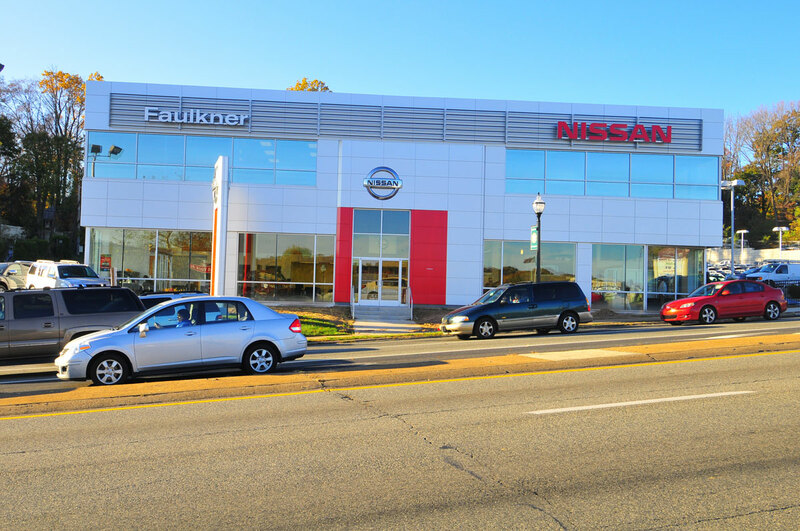 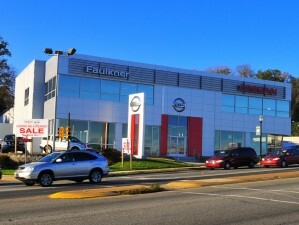 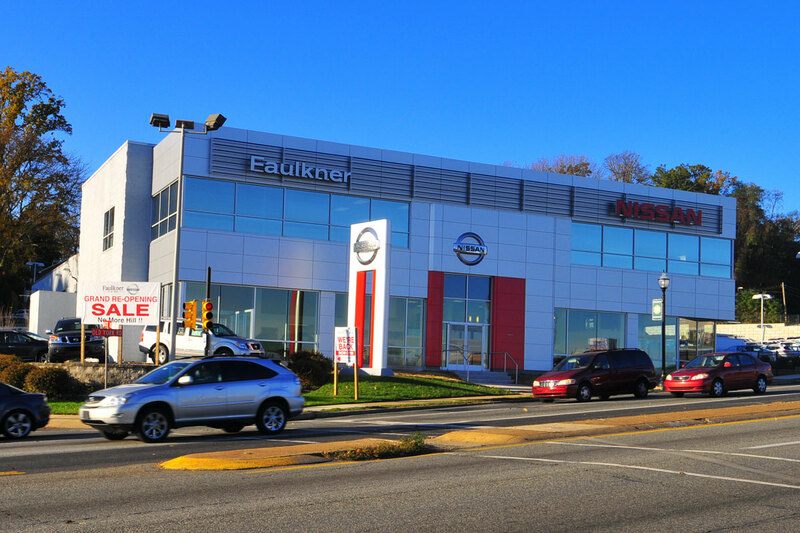 This renovation project included the transformation of an existing Dodge, Chrysler, Jeep dealership into a new corporate branded and compliant Nissan Dealership for the Faulkner Auto Group. 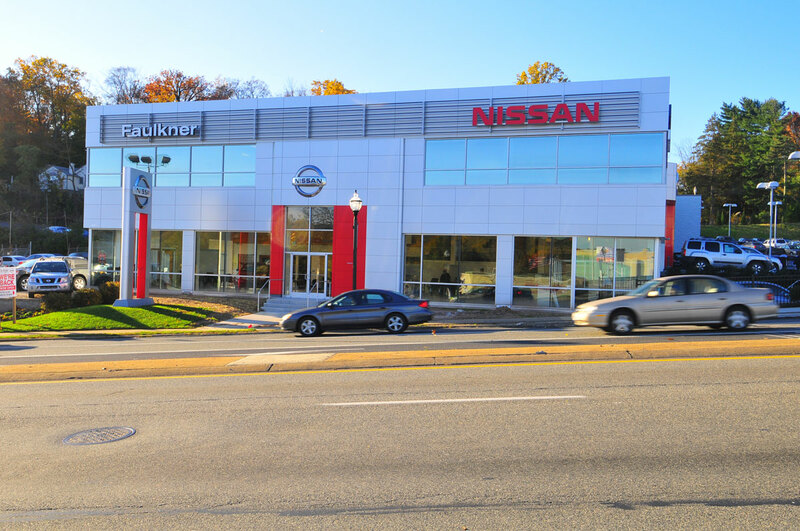 The key element to the project was the site improvement package which included the complete reconstruction of an existing sloped site with over twenty thousand yards of excavation, underground stormwater detention basins, site lighting, and paving. 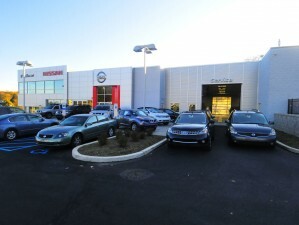 The all-new exterior façade is clad in ACM panels and includes curtainwall and storefront elements. 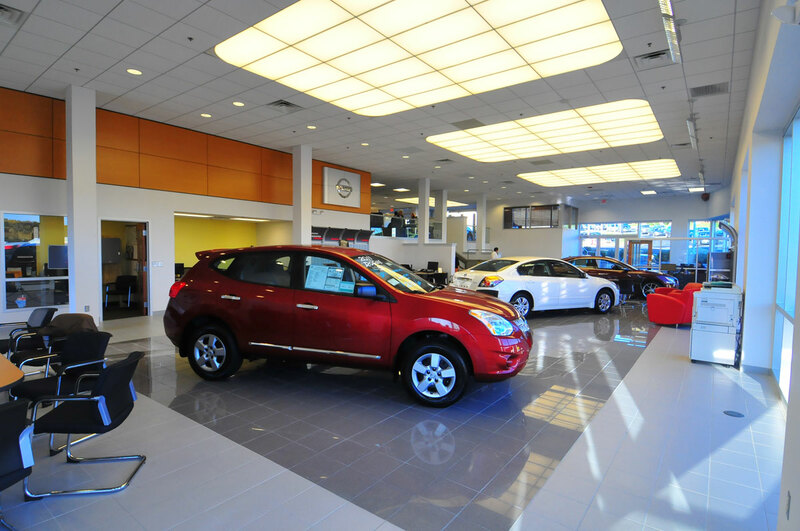 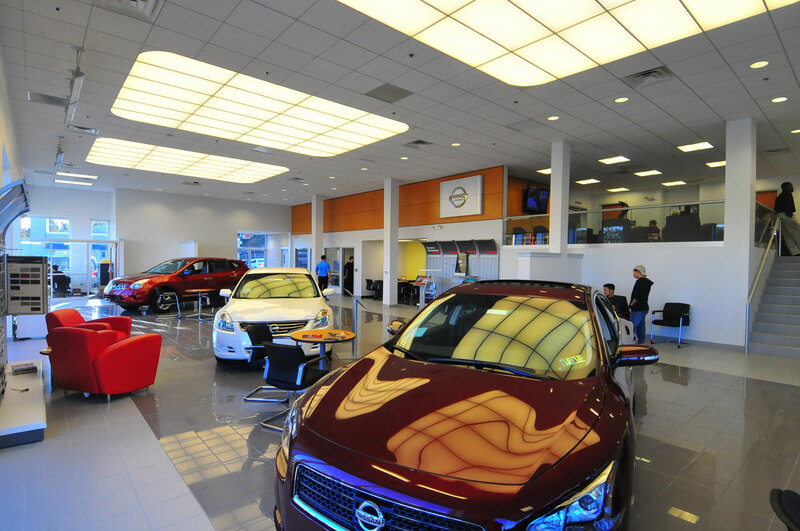 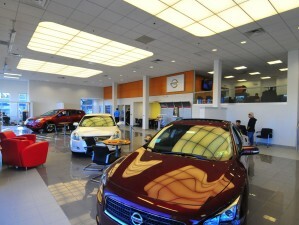 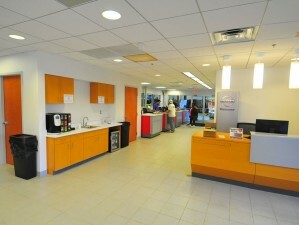 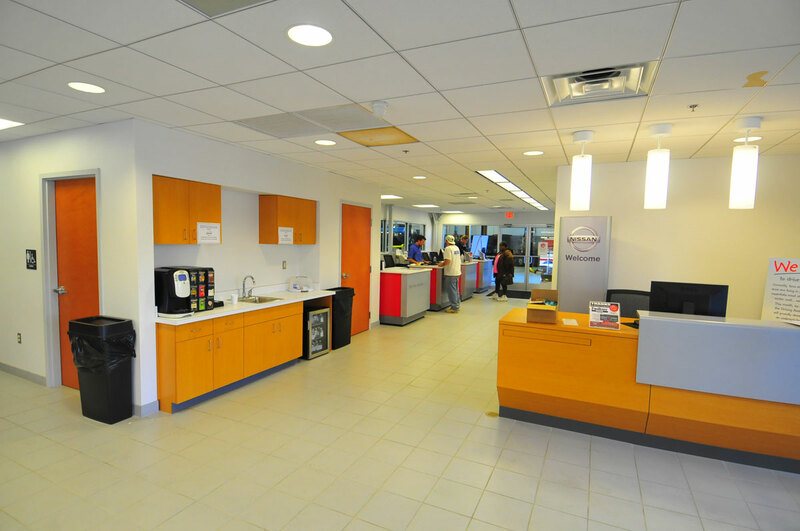 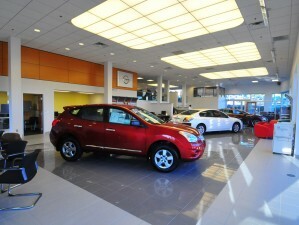 The interior of the dealership was improved aesthetically and functionally to comply with corporate standards and to maximize sight lines and customer service.